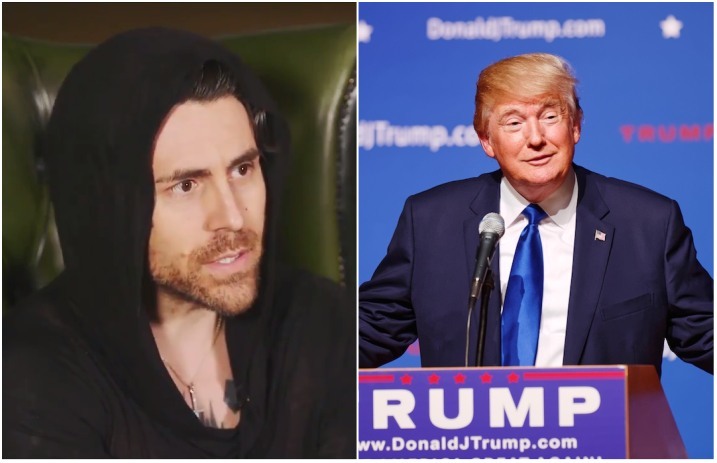 Davey Havok says we're living in a “very sad time” right now, and he underscores the importance of creating an emotional connection with fans in America's currently “oppressive climate.” See his comments below. In an interview video with the NME posted to Twitter today (titled “Davey Havok On Living In Trump's America”), the outspoken musician from AFI, DREAMCAR, Blaqk Audio and XTRMST sounds off on what he feels is his duty to provide a spiritual escape for listeners and concertgoers during a trying time for the country's disenfranchised. While Havok claims he never specifically set out to utilize his music as a political salve for estranged citizens, he does speak to the importance of providing a safe atmosphere for his listeners to let go of their political fears. And, hey, we all need a release when the president is lewdly threatening nuclear war on Twitter, right? Watch the clip of Havok's sober NME interview below, and let us know what you think in the comments.